AllegroMedical.com presents The Silent Call Signature Series Fire Alerting Kit. 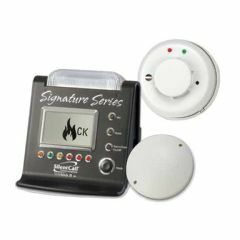 The Signature Series Fire Alerting Kit includes a smoke detector with built-in transmitter that sends a wireless signal and flashes the strobe on the Sidekick II receiver. The bed shaker that comes with this kit connects to the receiver to provide vibration notification.